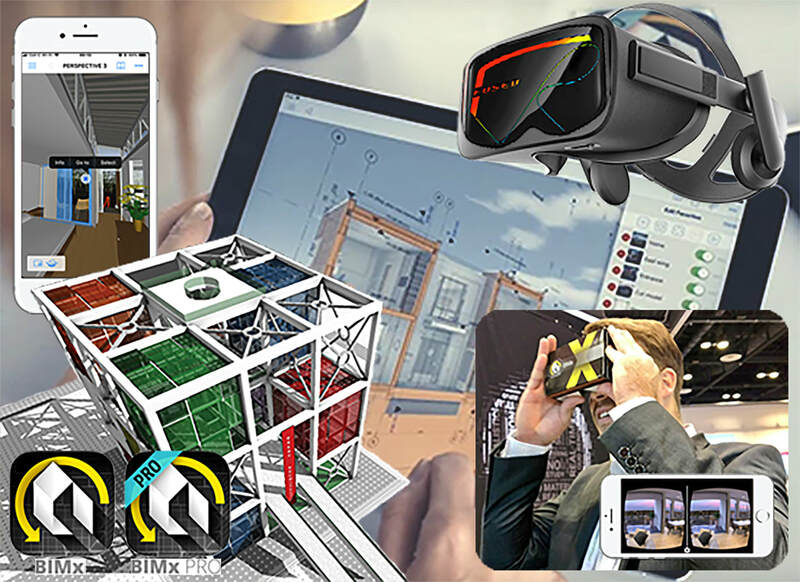 Virtual Reality (VR) is the latest visualization experience of buildings that is fast replacing the traditional 3D Rendering. Drawings on Layouts with plans, sections, elevations, schedules etc. ​VR Systems such as Oculus Rift or HTC Vive. Click the button below to get more info on our BIM2fusedVR services. ​This BIMx Hyper Model by MultiCad Design Solutions t/a fusionBIM was made as a Virtual 3D Map for visitors to the annual 2015 Cape Construction Expo to explore and navigate their way through this large exhibit space. All exhibitors data and profile web link is embedded into the model and Schedule layout for easy access to exhibitor's contact & product info long after the event had closed. Follow this link to see exactly how our BIMxpo service could works for you. "Using Google Cardboard with BIMx on iPhone and Android"
"GRAPHISOFT BIMx is now compatible with Google Cardboard V2.0 for an accessible Virtual Reality experience! In this video we’ll take a look at how it works. BIMx is our award-winning BIM project presentation application that brings the ARCHICAD Building Information Model to mobile devices. Google Cardboard, a practical alternative to Virtual Reality headsets, helps VR technology reach more people in a fun and easy way." "Powerful technology makes virtual experiences possible"
"Powerful technology makes virtual design, virtual construction, and a virtual experience possible. See how trailblazing firms make it work for them in By Design: The Next Frontier https://bydesign.graphisoftus.com"
"Unite Austin 2017 - Unity Beyond Games: Architecture, Engineering, Construction and More"
Learn all the ways Unity is being used for architecture, engineering, construction and beyond into a Virtual / Augmented Reality. "IrisVR Prospect Feature Showcase in Mixed Reality"
"This video provides an overview of Prospect using mixed reality. Want to give it a try? ​You can sign up for a free trial today: https://irisvr.com/#main-products."